A boil-water alert for parts of San Diego has been lifted after tests showed no signs of water contamination, San Diego Mayor, Jerry Sanders, announced Sunday. Since Thursday locals in spots all over the county were urged to boil their water after a city pump failed during a region-wide blackout, according to reports. Officials said the loss of pressure in the pipes could have led to the risk of contamination, prompting them to warn water customers in eight San Diego neighborhoods. After two days of comprehensive tests, officials with the Public Utilities Department and the California Department of Public Health found that the tap water in the affected areas was safe to drink, thus lifting the advisory which had many residents and businesses worried. 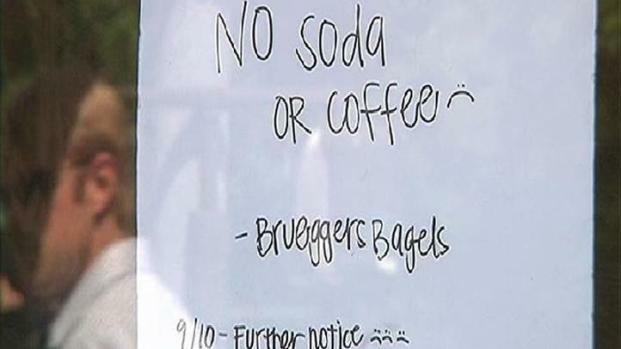 Coffee lovers in La Jolla face confusion after the boil water order closes their favorite coffee shop.